Various with Origins @ Selfridges, Christmas press promotions, Innocent Village Fete in Regents Park just to name a few. Expert witness for an unfair dismissal hearing – Deep Tissue Massage Practitioner. Tutor – Massage Master class; Essentials for Health – Introduction to Tui Na. Visit to the US, to conduct and lead workshops, talks, demonstrations and 1 to 1 sessions. Consultant – Launch of a new BOLD laundry powder containing Lavender and Chamomile. Put together and ran a Mind, Body and Spirit weekend in Italy. March 2007 – post graduate course. Progressive Counselling – Oct 2005 – Nov 2007 – 3 year post graduate course. Self Realization Meditation Healing Centre. Pulsing for Bodyworkers – Oct. 2004; postgraduate course. First Aid and Natural Remedies for Emergency Care – Dec. 2003; postgraduate course – Dave Woodgate. Metamorphic Technique – June 2003; postgraduate course – Tripuri Dunne. Aromatic Reflexology – June, 2003; Postgraduate through ITHMA www.aromatherapy-studies.com – Roz Zollinger and Lupe Negron. Colour Healing – July 2002; St Austell College Summer School – Diana Maberley. City & Guilds 7307 Stage 1 – Adult Teaching Cert. – March. 2002; London Borough of Hounslow, Adult and Community Education – Rosalina Seaman. Supervisor – Nov. 1998 – Dec. 2005; The Tisserand Institute, Wendy Jago. Traditional Chinese Medicine Study Trip to Beijing – Aug. 1998; Tui Na, Qi Gong and a general intro to Trad. Chinese Med. with Master Travel, Harry Field, The Harrogate School of Aromatherapy, Anna Louise Haigh and Xi Yuan Hospital. The Spirit in Practice – March. 1998; Course for Complementary and Health Care Professionals – Dr Christine Page. Triune Processing – Sept. 2003 – 1 day workshop – Sean O’Geary. Colour Psychology – Jul. 2003 – 1 day workshop – Angela Wright. Aromatic Energetics and the Five Chinese Elements – Nov. 2000 – 2 day w/s – Through ITHMA www.aromatherapy-studies.com – Gabriel Mojay. A Celebration of Essential Oils – Jul. 2000 – 1 day lecture – The Aromatherapy Trade Council – ATC. Introduction to Reflexology – June 1996 – 2 day workshop – Bayly School of Reflexology – Nicola Hall. 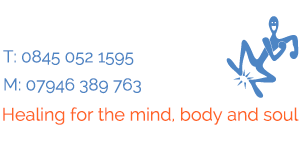 Complementary Therapists Association (CThA) – Embody – Self Employed Professional No. P40795. The International Self Realization Healing Association (ISRHA) – Progressive Counsellor No. 281.